Bario is famous for its rice. The brand ‘Bario rice’ invokes quality and premium pricing. A lotof people know about Bario through Bario rice. Now, one of Bario’s hidden treasure however, is its salt. Just as expensive, but sold in quantities so small that only few know of its existence and its place on the Bario tables. Couldrons for Bario Salt making. Like in all other communities around the world, salt plays a very important role in Kelabit community. Salt is not just used for adding flavor to meals, but it is also used to preserve meat and other food items. When you have salt in the house, you have the ability to stretch your food supply – especially meat storage. Surplus game eg: wild boar, deer, barking deer, etc is dipped in brine, and smoked. This smoked meat is then kept around for future use. Boiling the Brine through several stages. 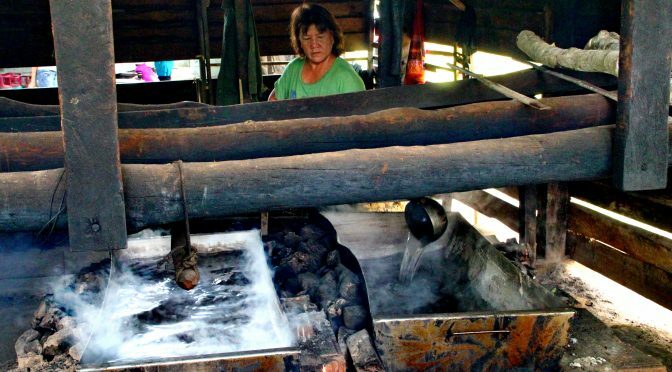 The Kelabits have been making their own salt for ages. 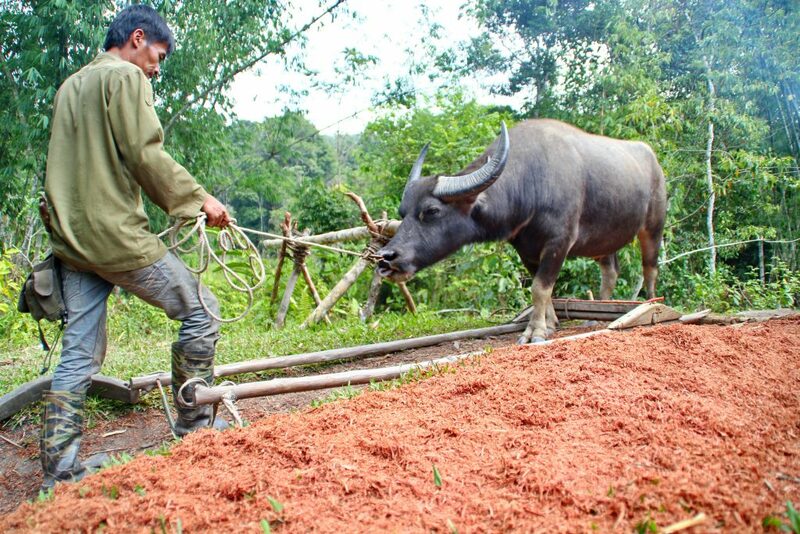 Back to the old days, (usually in between the harvest and planting seasons, or while waiting for the rice fields to yellow) a Kelabit family will decide if it needs to replenish its salt stocks. If they decide that they need more salt, the whole family would go to the salt spring, and set up camp for a week, to make the salt they need for household consumption. As there was very little trade with the world outside back then, saltmaking was largely for personal consumption. Surplus salt would be sold and traded, but for the most part, everybody could make their own salt. That was 40 yeas ago. Today, most Kelabits buy their Bario salt. As the community progressed, and they spent more time schooling instead of farming, the emigration of the younger generation of Kelabits to the towns and the cities meant there was less labour to work the salt springs. As money was earnt in the cities, the need to make your own salt seem a less effecient use of one’s time and toil. For energy management, each couldron heats the brine to a certian temperature. It is then transferred to an evaporation couldron. That said, the little salt factory is by no means abandoned. It is just as busy today was it was back in the days. 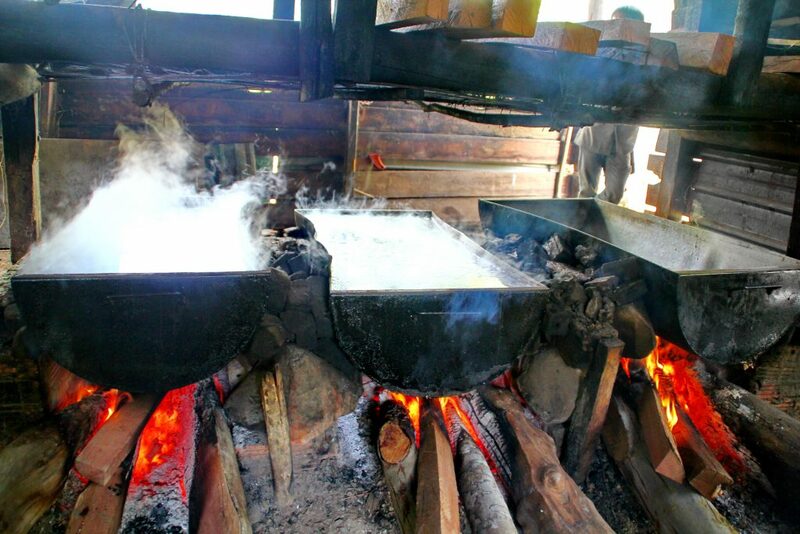 However, the endevour of making salt is not so much to replenish a family’s stock, but the salt stock of all the other Kelabit families. 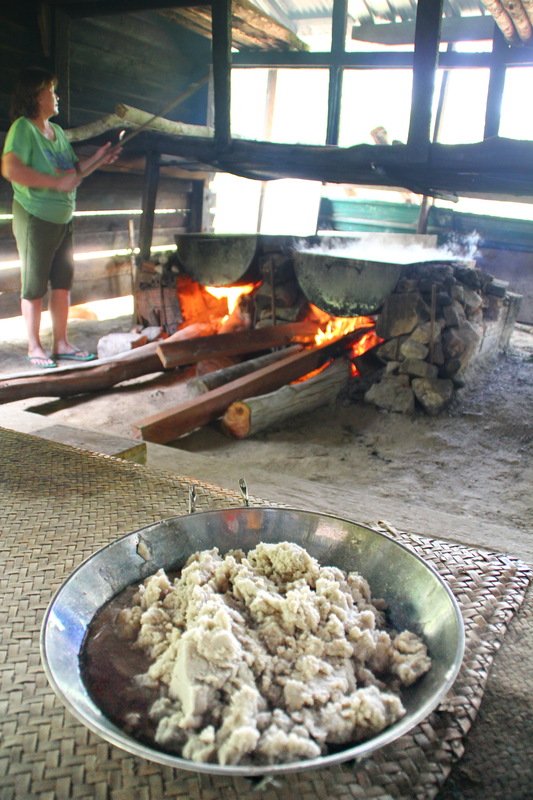 Like Bario rice, Bario salt is made to sell. Which is a good thing. It’s be good to do a study today to see if Bario is a net exporter or importer of salt. Straight from the couldron. Evaporated salt crystals. But this is only the first half of the process. From here, the wet salt moves to a drying proces. 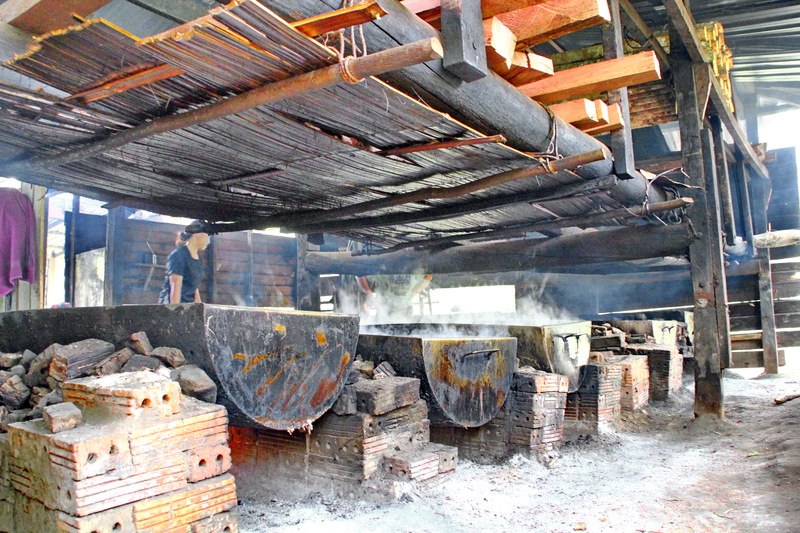 The whole process of making bario salt takes a week. This is no simple feat, and it’s really a 24 hour operation as they have to keep the fires burning and the brine boiling the whole time. 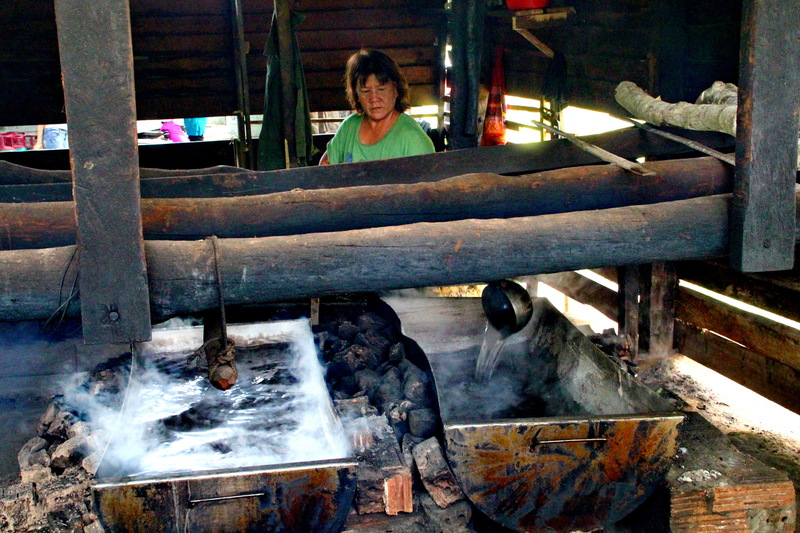 The Bario Tractor – a bufallo is an essential piece of the whole process. Remember the firewood stockpile? Click below to watch it explained beautifully. 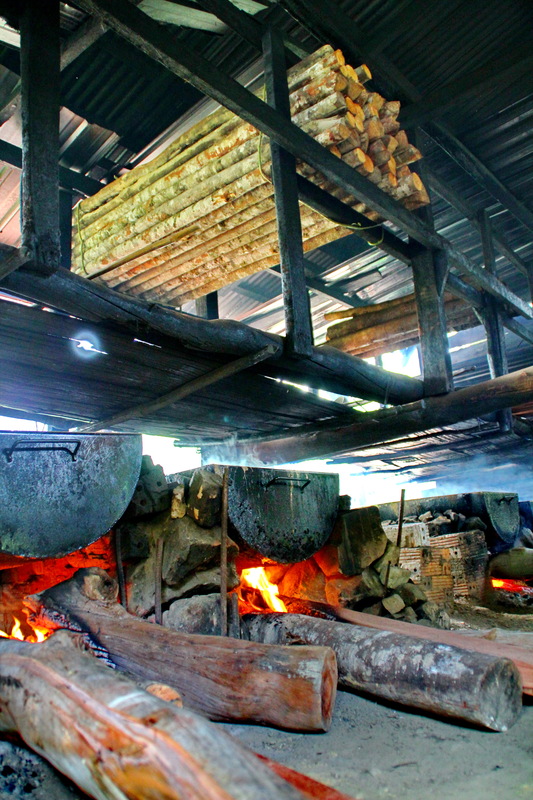 You can visit and see the salt mini-factory and see how Bario salt is made. It’s about two hours walk east from the Bario Market, but you can go by 4WD or motorbike, which cuts the journey down to 20 minutes.